I watched both episodes on RH, RFD-TV and both were interesting, the wagon train and also the efforts to get a plow workable, but I hope we get to see more of the event, Joe. 120 horses plowing, that should be worth a show! Wish I could deliver that, Klaus. Trouble is, at exactly the moment when the horses all took to the fields, the sky opened up with heavy rain. The rain lasted throughout the attempt. At 2:30, I had gotten myself positioned to shoot the event which was scheduled for 3 pm. Then we were told the organizers were postponing the attempt until 4 pm to give the ground a little more time to dry. As I waited for it to start, I watched the storm clouds advance. When the rain started, I put my camera under a plastic grocery bag to protect it and tried to get some shots but it was dark and wet and hard to shoot. A few minutes after it was all over, the sky cleared and the sun came out. Sometimes that's how it is. You get one chance to shoot something and it does not always work out. What a pity! My friend, Doyle Prawl, was at the event with his mules, I would have liked to see him! But as you said, Joe, the weather ruled. As a farmer I see that all too often. Yes. It was a shame. 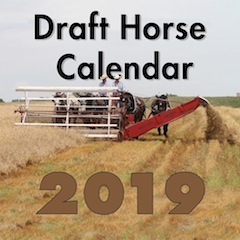 The Albert City group always does a great job putting on their annual event, and the horse people worked very hard to get a large number of draft horse (and mule) people to the event to feature horsepower instead of a tractor brand this year. The record breaking attempt is something of a gimmick, I think, but it worked. And the horse folks worked very hard to accommodate everyone, all despite a ridiculous amount of rain before the event. I wish I could have stayed one more day to shoot the mules plowing who were originally scheduled to plow Friday, then Saturday, and finally Sunday. I had other commitments Sunday morning so had to head home right after the rain started during the horse plowing. I enjoyed the show too. I don't know how you balance all the things that you do and to think that just like us farmers...weather impacts you too!